I chose this photo not for technical brilliance, but for its symbolical meaning. The lone biker crossing the finish line has support of people around him, but it's he, who has to fight until successful end. 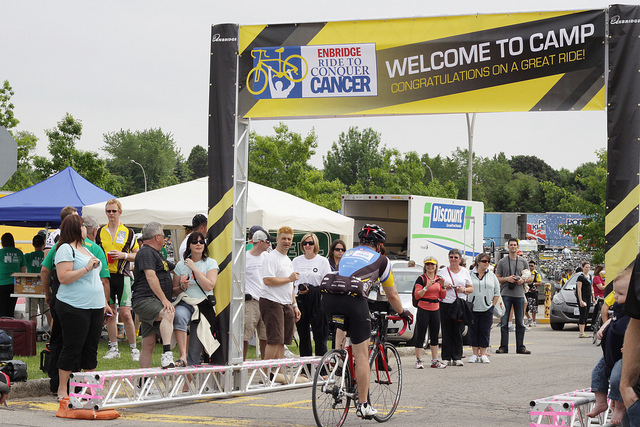 Picture from The Ride To Conquer Cancer.